The Canadian Federation of Students-Ontario regularly brings issues and concerns directly to government. The Federation has become a strong presence on Parliament Hill and at Queen’s Park, meeting regularly with federal Members of Parliament, Members of Provincial Parliament, other government officials, civil servants and representatives from all political parties at the federal and provincial levels. Through in-depth research, regular meetings with decision-makers and consistent membership mobilization, the Federation is able to present thoughtful, practical and reasonable solutions to the problems our members face to government while achieving tangible results for our members. The Canadian Federation of Students-Ontario is your voice at Queen’s Park, speaking regularly with government officials at the Ministry of Training, Colleges and Universities, the Ministry of Health and Long-Term Care, the Ministry of Research and Innovation, as well as Members of Provincial Parliament from all political parties and other civil servants. Follow the links on our website for more detailed information about our lobbying efforts, including access to our formal submissions to government, updates on current priorities, information about our annual Ontario Lobby Week and lobbying tools that are available for download. If you are interested in more information about our lobbying efforts at the federal level, visit the federation’s national website. Every year, the provincial government invites individuals, organizations and stakeholders to make formal submissions to the Ministry of Finance in advance of the provincial budget typically tabled every spring. The Federation produces a budget document every year, outlining the priorities of Ontario’s student movement. These recommendations always address a wide variety of topics, ranging from affordability of post-secondary education to student debt to campus safety to sustainability and much more. These submissions are made to the Ministry of Finance and are also used by student representatives on Queen’s Park during Ontario Lobby Week, typically held every March in Toronto. The Federation engages a number of provincial ministries on a variety of issues important to students, from workplace safety to minimum wage to combatting sexual violence and more. Follow the links in the Other Submissions menu to find the Federation’s most recent submissions to other government bodies and agencies. Ontario’s Progressive Conservative government released its first annual budget on April 11. It includes major changes to the post-secondary sector, which will undoubtedly have long-term implications for students, faculty and institutions. In this document, the Federation outlines the major announcements affecting the post-secondary sector included in the 2019 provincial budget to help explain what this all means for you. The Federation has taken some time to analyze the 2018 provincial budget and determine what this year’s investments mean for students. Please take a look at our Members’ Advisory. In 2014, the provincial government announced its intention to review the formula through which public funding is distributed to Ontario’s 20 public universities. With the typical university and college-aged population predicted to plateau for the next decade, the government was concerned that a focus on enrolment growth would not give institutions, government or students value for their money. The Federation, alongside many other stakeholders, expressed skepticism that the current enrolment-based model fostered unsustainable enrolment growth and instead pointed to inadequate public funding as the culprit for declining quality. The Federation participated in the University Funding Formula Consultations and made a formal submission to the review committee, titled Getting it Right for Good: Student priorities to strengthen & improve Ontario’s University Funding Formula. Ontario is reviewing its College Funding Formula – students have 10 recommendations for a more fair and sustainable way of funding our colleges. The Ontario government launched the Changing Workplaces Review in early 2015 to identify potential labour and employment law reforms. The review offered an important opportunity to both provide feedback on existing workplace standards and identify the gaps faced by Ontario’s most vulnerable and marginalized workers, including young workers and students. The Federation was an active participant in the review, with members from across the provinces making official presentations to the review committee and drafting a formal submission, which is titled Improving the Employment Standards Act: Students’ submission to the Changing Workplaces Review. In 1994, international students were removed from the Ontario Health Insurance Plan (OHIP). Since then, international students have been forced to rely on expensive private health insurance programs such as UHIP and CHIP, which can cost anywhere between $700 and $2000 annually, and are not universally accepted by all doctors, clinics and specialists. These obstacles to healthcare have discouraged many international students from seeking medical assistance even when it is serious, while others have found themselves in emergency rooms for treatments that could otherwise be administered by clinics and general practitioners – if only their health insurance was accepted. These visits (or lack of) cost international students and the province precious time and resources. Other provinces like British Columbia, Manitoba and Nova Scotia all cover international students under public health insurance, it’s time Ontario join them again. The Federation has long demanded the re-integration of international students into OHIP. This year, the Federation met with the Ministry of Health and Long-Term Care to discuss options for re-integration and has produced a formal policy document outlining options for the provincial government. 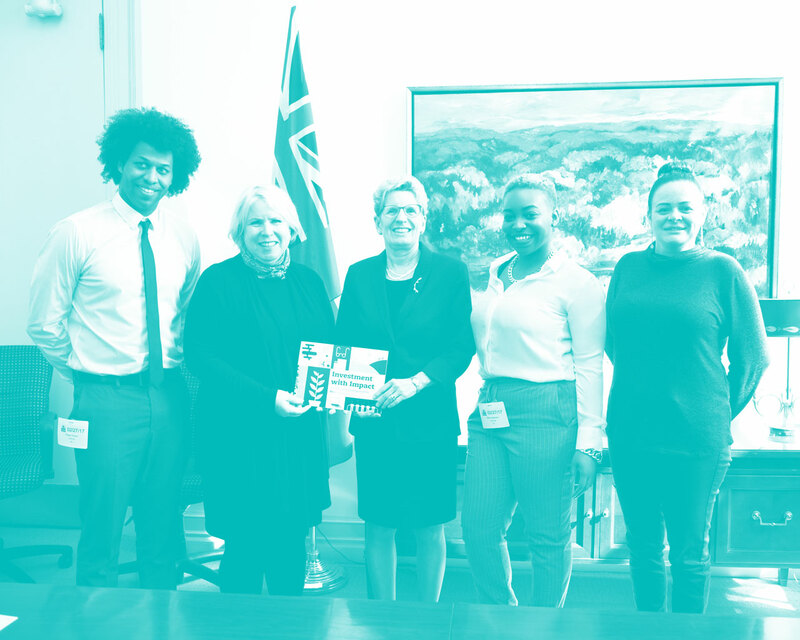 The Canadian Federation of Students-Ontario organizes lobbying opportunities for student representatives across the province to meet with Members of Provincial Parliament. Typically organized in early spring in advance of the provincial budget, these meetings bring a diverse group of students face-to-face with policy-makers about our membership’s concerns with the current state of post-secondary education. Outside of Lobby Week, Federation representatives regularly meet with government representatives from the Ministry of Training, Colleges and Universities, Ministry of Research and Innovation, Ministry of Health and Long-Term Care, Women’s Directorate, Elections Ontario, Higher Education Quality Council of Ontario and post-secondary education critics from the opposition parties.